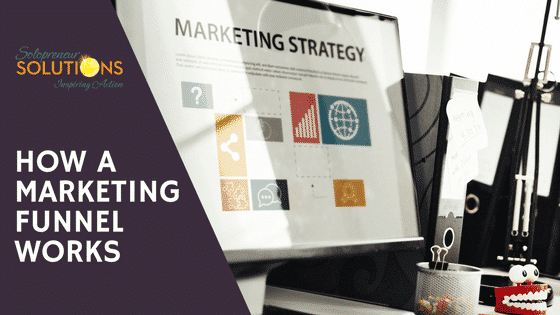 The marketing funnel is a valuable tool to help companies structure their marketing and sales efforts into a cohesive strategy that literally ‘funnels’ leads or prospects into a purchasing process. Different parts of the funnel work to move a potential customer along in this process. If you’re new to the concept, let’s explore a bit of the basics surrounding marketing funnels and how they work. The marketing funnel is a visual tool for understanding the process of converting leads into customers. The general premise is that marketers cast a broad net to capture as many leads as possible (wide, like the top of a funnel), and then methodically nurture prospective buyers through the funnel until they make a purchasing decision. The funnel narrows down in each stage of the process, as leads drop away and do not continue on to a purchasing decision. In perfect conditions, the marketing funnel would be a marketing cylinder, where all your leads would flow straight through and turn into paying customers. This is not reality for businesses; but it is the marketer’s job to convert as many leads as possible into paying customers. How narrow your funnel becomes at the bottom represents just how many leads become buyers, and the effectiveness of your marketing and sales process. There is not a single, standard version of the marketing funnel. Differing versions have many “stages” while others have only a few. Many are labeled with different names that represent actions taken by the business and consumer for each. The stages we will discuss here are the most basic, and can be built upon to fit any industry or company’s preferences. Each of the marketing funnel stages below have a brief description, along with suggested actions for your business to perform at each stage. Awareness: Awareness is the top, widest stage of the marketing funnel. Your audience is drawn into the funnel through your marketing campaigns. Establishing trust and planting ideas is your main goal at this stage of the funnel. You can do this with advertising, events, trade shows, online content (blog posts, infographics, videos, and more), social media, webinars, direct mail, viral campaigns, paid search, and media exposure. This is where lead generation takes place, as you collect information into a lead management system for nurturing further down the funnel. Interest: Once leads are generated, they move to the interest stage. This is where interested parties can learn more about your business, its services and/or products, and any helpful information and research you provide. This is an opportunity for your company to build relationships with the consumers and introduce your value prospect. You can do this through emails, newsletters, webinars, and free content related to your industry and niche. Consideration: In this stage, leads change into qualified leadsand are considered prospective customers. The lead is considering their options now. Do I need this? Can I afford this? Will this solve my problem? You should send these prospects more information about your services, products, and special offers through automated email campaigns. At the same time, continue the nurturing process with targeted content, case studies, free trials, and more. Intent: To enter this stage, prospects must demonstrate interest in making a purchase or booking a service. This can happen through a survey, after viewing a product demo, or when they place a product in the shopping cart on your website. Now is the time to make a strong case for why your product/service is the best choice for this buyer. Evaluation: In this stage, buyers are making the final decision to buy or not buy your product or services. Marketing and sales mesh together here to convince the prospective buyer to step over the edge and become a buyer. Purchase: Congratulations! This is the last stage in the marketing funnel, and your prospect has made the decision to buy and now becomes a customer. Marketing hands off for sales to complete the transaction. However, the ideal situation is for the customer to be very satisfied and enter the top of the funnel again to make additional purchases, and tell their friends about the satisfactory experience they had, feeding even more leads into the funnel. Attract strangers to your website so they become visitors. To attract strangers to your site, use things like SEO for organic traffic, blog posts with enticing content, social media engagement, and ads. Convert your visitors with a lead magnet so they become leads. To convert visitors into leads, you need call to action forms on your landing pages and a good lead magnet that’s so valuable people will want it. Close leads with a sale so they become customers. To close the leads, you need to use email messaging, CRM-based personal touches (optional), and personalized nurturing via email, web, and social media. Delight customers with great customer service and engagement so they return and bring other leads. Delight your customers so they become brand ambassadors. In order to do this, keep engaging them in email and social media, let them give you feedback, and provide them with tips and resources to get the most out of your product. How is the Marketing Funnel Different for B2C and B2B? B2C (business to customer) and B2B (business to business) aim at different target audiences, who have varied uses for the products or services their business offer. Both types of businesses use a marketing funnel in similar ways, but there are some key differences. Most B2C consumers navigate the marketing funnel alone or with a small group of friends and family as trusted advisors. B2C consumers may never directly interact with a company representative, especially on ecommerce websites. Their buying choices are more influenced by the site in front of them. Click, purchase, arrange shipping, done. B2B consumers typically have a larger group involved in the buying process. The average B2B buying group is 5.4 people. This group must all be convinced that the purchase or service is necessary before any spending is authorized. B2B consumers typically interact with a sales representative in the lower end of the funnel to negotiate a sale. The marketing funnel works in different ways for different users, but the underlying goal is to harvest prospects and get them to spend money with your business. What does your marketing funnel look like? What tips do you have for moving prospects through the different stages? We’d love to hear from you! Share your comments and suggestions in the comments below. Next step top of funnel.